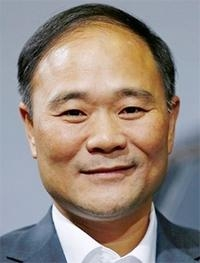 Chairman, Zhejiang Geely Holding Group Co.
For years, Li Shufu has burnished his reputation as a world-class wheeler-dealer, amassing an automotive empire that stretches the globe from Zhejiang Geely Holding Group’s headquarters in China. It started with Geely’s rescue of Swedish marque Volvo and picked up the pace with such acquisitions as U.K. sports car maker Lotus and Malaysian manufacturer Proton. Throw in such gambits as Lynk & CO, a new brand for electrified mobility, and Li’s legacy seemed secure. Yet, the 55-year-old Chinese billionaire pulled off a bigger coup early this year when he quietly accumulated a 9.7 percent stake worth some $9 billion in Mercedes parent Daimler, the grande dame of German luxury that traces its heritage to Karl Benz, one of the industry’s founders. Since then, Li has only kept up the deal-making. The latest reports have Geely in talks with Toyota Motor Corp. to cooperate on the Japanese automaker’s trademark hybrid technology. As Li maneuvers behind the scenes, the rest of the industry is left to wonder what he might target next.